Excerpt from pp. 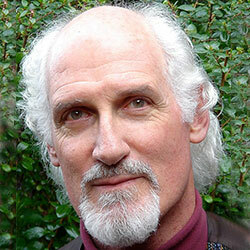 2-4 of Brief Psychotherapies: Principles & Practices. “Brevity” and “shortness” are watchwords signaling efficiency, the contrast being the more intentionally protracted course of traditional long-term (usually psychodynamic) therapy. Actually, most therapy is de facto brief, by default or design, meaning a few sessions, weeks to months. As Budman and Gurman (1988) and others (Bloom, 1992al Garfield, 1986; Koss & Butcher, 1986; Messer & Warren, 1995) have noted, numerous studies have reported the average length of treatment to be three to eight sessions. The modal or most common length of treatment is actually only one session. Even with this “briefest of brief” duration, many successful outcomes are reported (Bloom, 1992b; Hoyt, 1994b, 2000a; Hoyt, et al., 1992; Rosenbaum, et al., 1990; Slive, et al., in press; Talmon, 1990, 1993). Various authors have offered different definitions of what constitutes brief therapy. Some have emphasized a number of sessions, such as “5-10”, “12” or “up to 20”; some have emphasized certain types of problems they attempt to address, while others have focused more on idea of the passage of time being a contextual pressure (Hoyt, 1990). Budman and Gurman (1988), for example, eschew a specific number of sessions in their definition, instead referring to deliberate or planned brief therapy as “time-sensitive” or “time effective” treatment. Setting a specific number of sessions may at times be helpful, however, to provide structuring (Wells, 1982) or to deliberately stimulate a termination process (Mann, 1973; Hoyt, 1979). Attention to temporal parameters is important since Parkinson’s Law (“Work expands or contracts to fit the allotted time”) may operate in psychotherapy (Appelbaum, 1975). Generally, the focus should be on making the most of each session (Preston, et al., 1995). Focused intentionality is the key. Make everything count; don’t be wasteful. Get to it. Planned or intentional brief therapy is predicated on the belief and expectation that change can occur in the moment, particularly if theoretical ability, practical skill, and interest in efficacy are brought to bear. The work is not superficial or simply technique-oriented; it is precise and beneficial, often yielding enduring long-term benefits as well as more immediate gains. Indeed, brief therapists recognize that what really counts is what happens after the session, and thus will need to see its impact (outcome: change and durability) before assessing the “goodness” of a session (Hoyt, 2000a). Koss and Butcher (1986; also see Koss & Shiang, 1994) have concluded from their major review of the research literature on psychotherapy outcome that brief and long-term methods are equally effective, and that the brief methods are more cost-effective. Many comparative research studies may actually underestimate the effectiveness of planned brief therapy, because so few of the therapists in the original studies were specifically oriented or trained in brief therapy methods (Hoyt & Austad, 1992; Koss, et al., 1986; Messer & Warren, 1995). While one can ignore these findings or argue that brief therapy and long-term therapy have different goals, the equivalence of outcomes is compelling. And even if longer-term therapies sometimes do produce results that may be preferable, the question remains of who will pay for such extended treatments? Most patients want more efficient help. Given the social and professional imperative to provide psychological services to the wide range of persons who might need and benefit from mental-health care, the thrust of the accumulated data seems clear. Excerpt from pp. 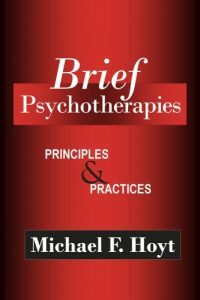 2-4 of Brief Psychotherapies: Principles & Practices, by Michael F. Hoyt. Available from Zeig Tucker.